The numbers are astonishing—126 manufacturing sites, 32countries, 160,000 global employees, and 19,000 engineers and scientists. One of the world’s largest automotive suppliers, Delphi Automotive PLC engineers and manufactures complex high-tech products for the automotive and commercial vehicle markets that keep drivers safe and connected. The legal expertise and touch points required for a global company of this magnitude must be well coordinated and well executed. Enter seasoned general counsel David Sherbin. 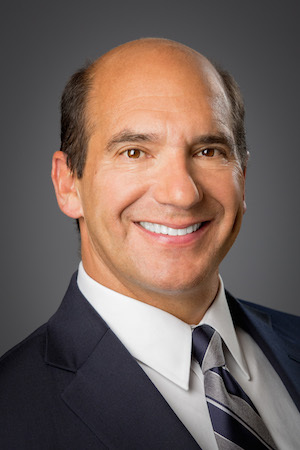 Following general counsel roles at Federal-Mogul and Pulte Homes, Sherbin joined Delphi in 2005 right before the company filed for Chapter 11 bankruptcy. Delphi emerged from bankruptcy in 2009, and since then Sherbin has helped Delphi successfully turn its business around, all the while building a global, business-savvy legal team. Three driving principles are at the core of his leadership philosophy: trust, training, and transparency. Because of the global nature of Delphi and the automotive industry, Sherbin’s team operates and is located in multiple countries and continents. This brings a complexity to both hiring team members and the work they will do. “I look for people who not only have a strong legal background and varied skill set, but also have a strong and demonstrated business approach and understanding,” Sherbin says. To that end, Sherbin has organized the legal department into eight centers of excellence. These centers are comprised of Delphi attorneys in different geographical locations that focus on a specific legal area such as intellectual property, purchasing, or labor and personnel. “The centers of excellence are extremely effective at facilitating communication, empowering people within the department to take the lead on projects, and maintaining consistency both across business units and regions,” Sherbin says. 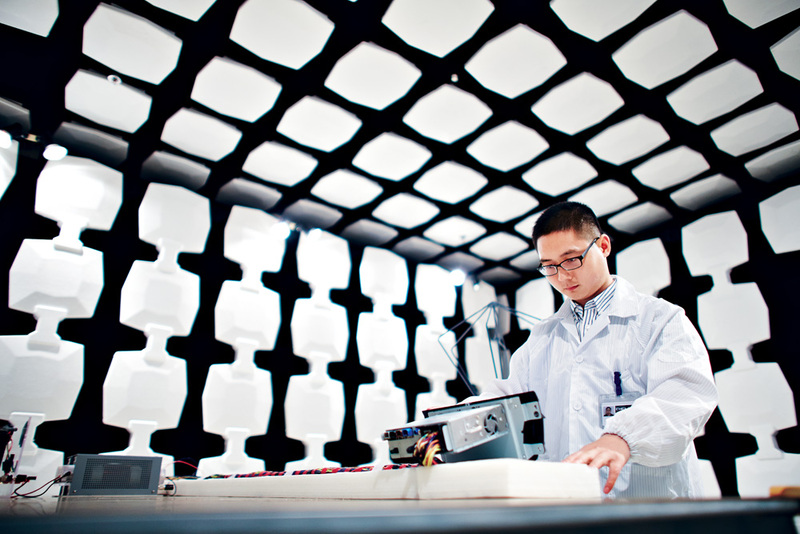 An engineer tests radiated emissions at Delphi’s China Technical Center in Shanghai. has licensed patent engineers in the United States and Europe, virtually eliminating the need to use outside patent counsel and offsetting substantial outside counsel fees. For the engineers, it is further career development that can help them now and in the future. And for Sherbin, it is just an additional step to strengthen and broaden the scope of his international team. Managing a team of attorneys and engineers working in multiple locations and time zones around the globe comes with its own set of challenges. But Sherbin addresses those challenges with an open-door policy and a strong belief in regular communications. This belief in a flat organization is helpful in bringing the problems to the forefront. Sherbin encourages transparency and wants concerns and issues to bubble up quickly. “Don’t sweep something under the rug because it might be bad news,” he says.